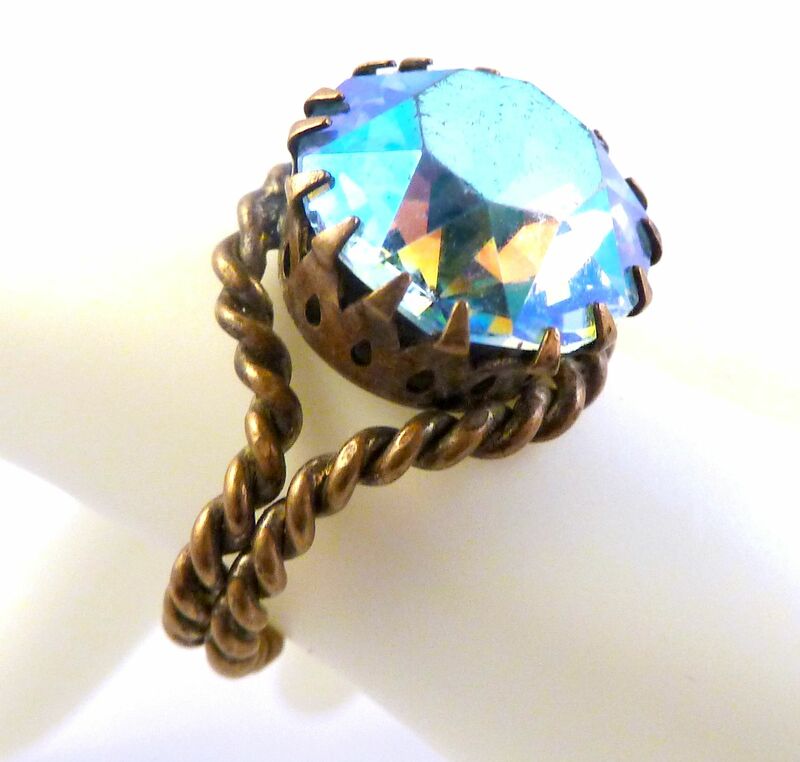 Vintage Aurora Borealis Rhinestone Adjustable Ring. 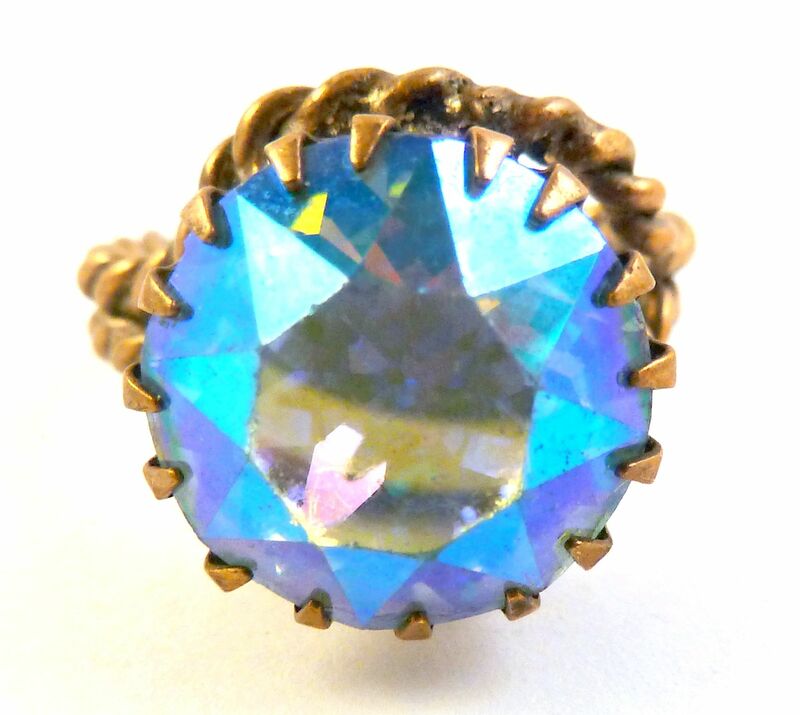 Vintage blue aurora borealis rhinestone set adjustable size ring. 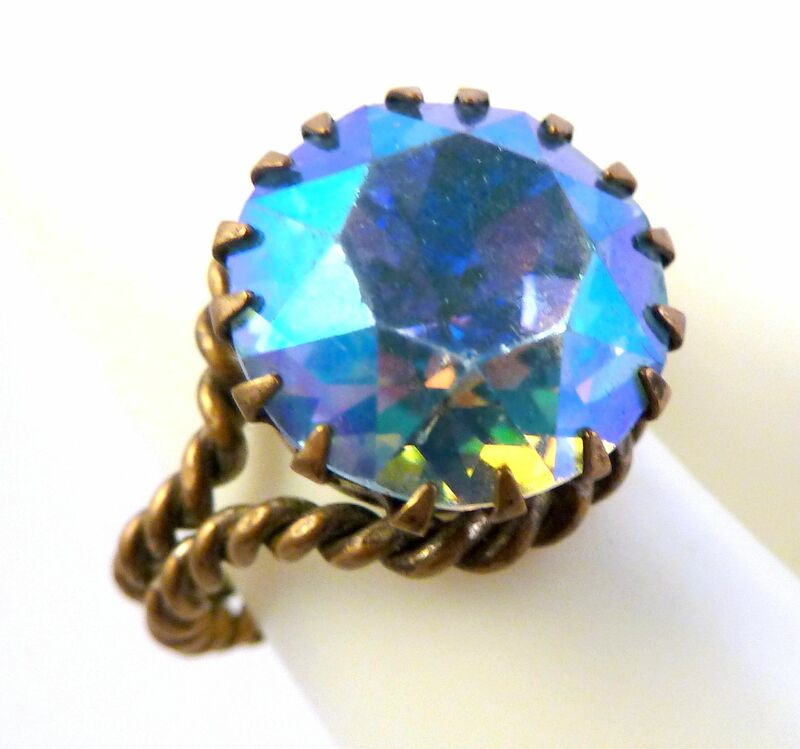 Vintage blue aurora borealis adjustable size ring. The ring has a raised central large blue toned aurora borealis coated rhinestone at its center. 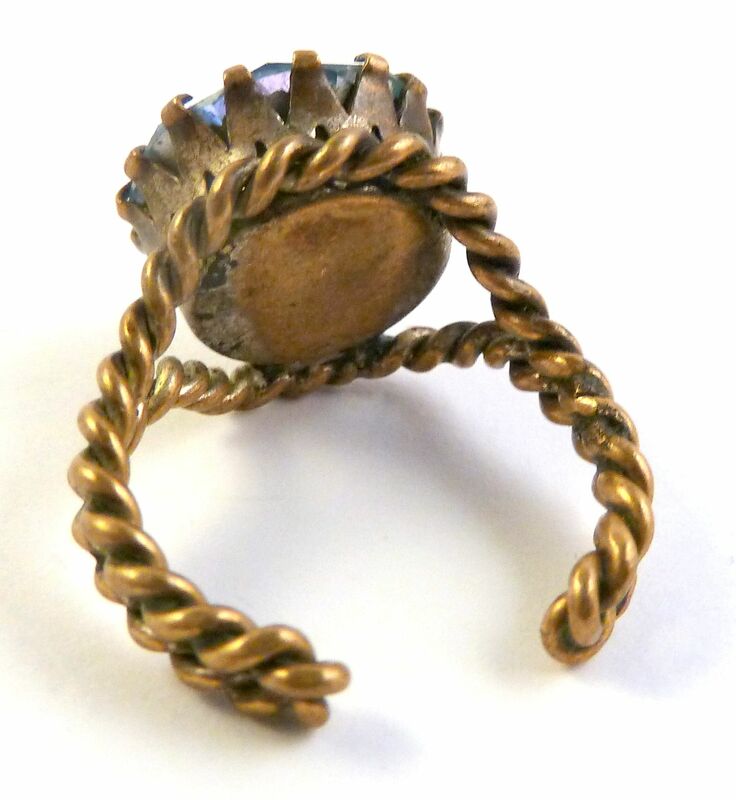 The ring band is formed from two twisted gold tone ropes . 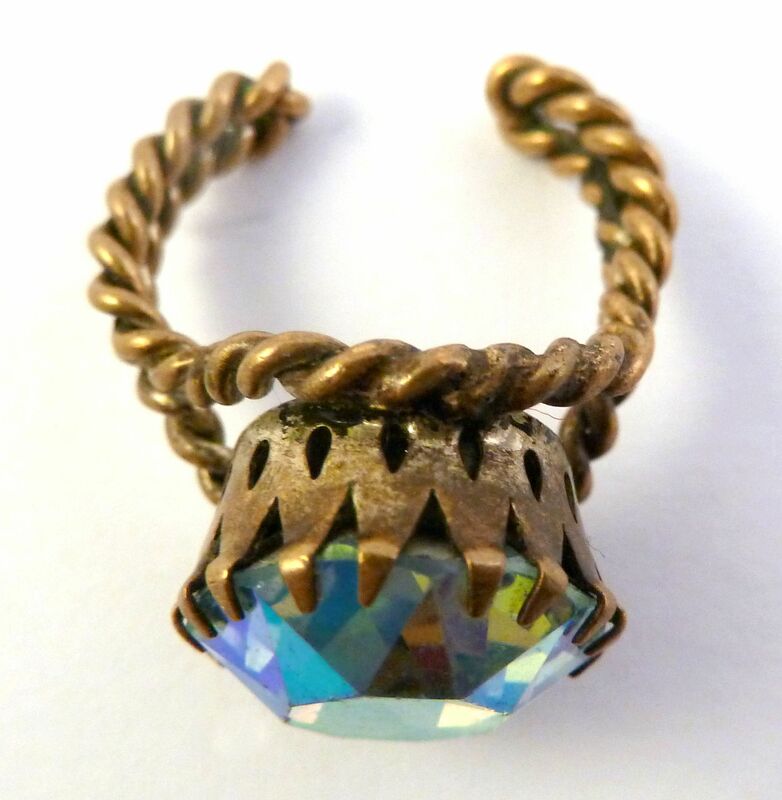 The ring has an adjustable fit. Circa 1960's - 70's. Large raised blue aurora borealis rhinestone. Overall good vintage condition, the band shows aged patina and slight distortion to shape, being squeeze to fit does not affect wear-ability.